MKV format is more popular nowadays. However, it can not be supported by iPad. 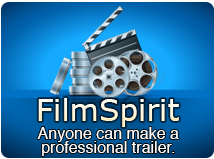 If you have videos in MKV format and want to put them onto your iPad for on-the-go watching? 4Media iPad Video Converter would help you fast convert these MKV files to iPad video formats with high video&audio quality reserved. Using this iPad converter, you can convert other video formats such as MKV to all the iPad video and audio formats: H.264 HD/H.264/MPEG-4 videos, MP3/AAC/WAV/AIFF audios. Download and install 4Media iPad Video Converter on your computer, and then start the software. Let's see how to convert MKV to iPad videos. How to convert MKV files to iPad videos step by step? Click "Add" button to load the MKV file you want to convert. Or directly drag the files to the software window. In the profile drop down list, choose a target format for the output file. You can choose from iPad H.264 HD/H.264/MPEG-4 videos, MP3/AAC/WAV/AIFF audios. 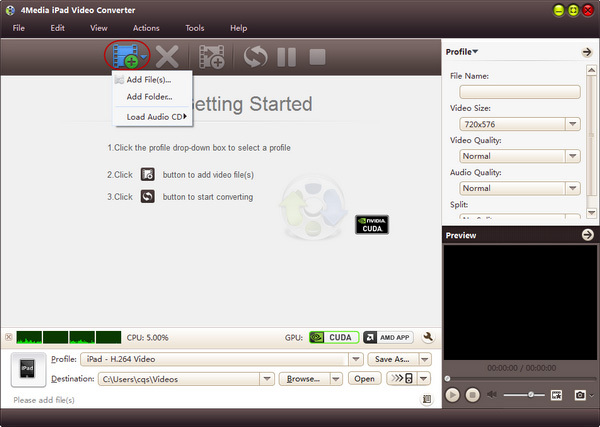 Just click the green "convert" button on tool bar to start the MKV to iPad video conversion. And you can monitor the conversion progress from the progress bar and also manage (parse, stop, restart) the conversion any time. And the conversion will be completed in a few minutes. And this time, you can click "open" button to visit the converted files directly. 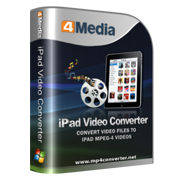 4Media iPad Video Converter makers the MKV to iPad conversion so simple. Click to see what else the converter also features: 4Media iPad Video Converter.